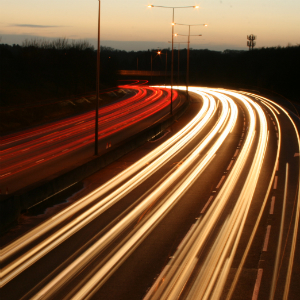 The M25 widening scheme has faced a barrage of criticism due to its higher than necessary costs and failure to properly assess the alternative option of using the hard shoulder as an extra lane during peak hours. The UK House of Commons Public Accounts Committee has estimated that the potential extra cost to the taxpayer has amounted to around GBP 1 billion (EUR 1.2 billion). In May 2009, the UK Highways Agency signed a 30-year private finance contract worth GBP 3.4 billion (EUR 4.25 billion) with the Connect Plus consortium for widening two sections of the M25 motorway, and maintaining the entire 125 mile length of the road and 125 miles of connecting roads and motorways. The project was partly financed with a EUR 453 million loan from the European Investment Bank. Connect Plus consists of Balfour Beatty, Skanska, Atkins and Egis Projects. Both Balfour Beatty and Atkins are part of the Metronet consortium which went into administration in July 2007 after its disastrous performance in the London Underground PPP. One of the ideas behind PPPs is that they should define the desired outcomes and that the private sector should be able to use innovative methods to meet the requirements. However in this case, the invitation to tender for the contract excluded the idea of using the hard shoulder as an extra lane during peak periods as a solution for traffic congestion.Hard shoulder running was first tested in other European countries such as Germany in 1996. It took five years before the Highways Agency announced its intention to trial this technique in 2001 and a further eight years before it started to use hard shoulder running in 2009. In March 2008 a decision was made to continue with the widening project rather than adopting hard shoulder running partly because of delays in trialling and evaluating alternatives. The Government announced its intention to proceed with the widening of five sections of the M25 in July 2003 and asked the Highways Agency to carry out further development work. The Agency’s initial 2004 timetable anticipated construction of the first section starting in May 2007.During industry consultation in May 2005, following its decision to widen four of the sections using private finance, the Agency revised the date when it would the award the contract and construction would start to May 2008. The Agency said that this start date reflected a reasonable programme for the procurement. The contract was not, however, let until May 2009. The delays in both preparing and executing the procurement before the credit crisis added around 18 months to the Agency’s initial 2004 timetable. It took nine years from 2000, when consultants were commissioned to produce a long-term strategy for the M25, to 2009 for the contract to be signed. This proved crucial as the cost of financing, higher for the private sector than for the public sector in any case, increased dramatically during the credit crisis. The National Audit Office found that the price of the contract increased by GBP 662 million (EUR 826 million) from a present value cost of GBP 2.7 billion (EUR 3.37 billion) when Connect Plus became preferred bidder to GBP 3.4 billion (EUR 4.25 billion) at contract letting. Financing terms were much more expensive than before the credit crisis and accounted for GBP 444 million (67 percent) of this price increase. After all this money has been committed, one would at least hope that the widening of the M25 would ease congestion. However the National Audit Office has pointed out that when the project was approved, it was done on the understanding that accompanying demand management techniques would be implemented in parallel. However, in 2010 when the National Audit Office undertook its examination of the project, the Highways Agency was still testing the viability of the demand management measures it started considering in 2003 and did not expect results until May 2012, just before the planned completion of the first sections of widening. It is not clear whether any results have been forthcoming at the time of writing. When the House of Commons Public Accounts Committee undertook its examination of the project, it found that the Senior Responsible Owner at the Highways Agency had left the Agency and was employed by one of the project’s major contractors and investors. The company had previously provided advice on the project and was at the time of the inquiry owned by one of the project’s major contractors and investors. A condition of his new employment is that he works on rail rather than road projects, but it is not clear what procedures are in place to make sure that this commitment is honoured. Cabinet Office clearance was obtained for this move but there remain potential conflicts of interest.